Three years ago, when Turia was 24, she was caught in a bushfire during an ultra marathon and suffered burns to 65% of her body, there was doubt she would survive. Now she is an ambassador and incredible fundraiser for Interplast, a reconstructive surgery charity. There is a great short interview with her here. She really puts my whinges and whines into perspective. ::Dinner with my love at the Carlton Wine Room. Just exquisite! And we met at the lovely Readings Bookshop in Carlton first, which made it feel like a proper little date. The Bookworm is so happy here. Keep your fingers crossed he gets the Masters place he wants, please. ::Getting my hair cut. It has been about nine months since the last cut so I really really needed it. I love my hairdresser, she is so good about the fact that as soon as I leave the salon with beautifully layered, styled hair, I get the shits with it and whack it in a bun. Oh well. :: Seeing this beautiful boy as I left the hairdresser. 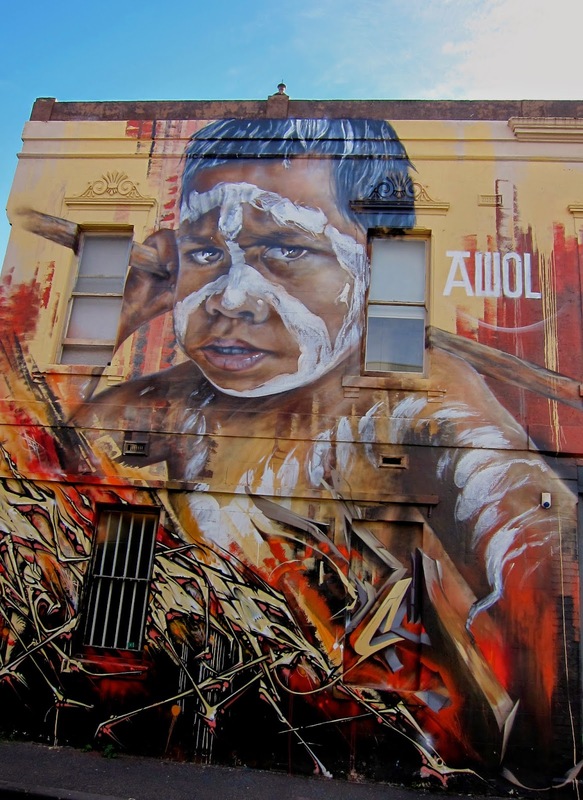 Fitzroy has the best 'graffiti'. ::Digging into a big tub of *the best* Gelati from Gelato Messina (just scroll to the bottom of this post for more. Yes, it's winter here. No, that doesn't deter me. Salted caramel, yoghurt and berry, and one of the special flavours- The Mighty GM Pie: peanut butter gelato, chocolate pie crust, custard, banana jam and peanut cream. My heart! ::While grocery shopping in the Saturday morning crowds, The Bangles' "Walk Like an Egyptian" came on. When it got to the epic whistling bit I found myself in a spontaneous flash mob whistle with a few other shoppers. It was a special moment. Then Lisa Loeb's "Stay" followed it; my all-time karaoke go-to. Then on Sunday, at the same supermarket "Time of my Life", aka The "Dirty Dancing" song came on. I hovered, awaiting the dance-off moment, but this time all my precursory hip swivel in the bread aisle achieved was a bulging eyed, chin-tucked glare from a toddler. Go on, tell me about your Monday happy moment. I am the same when it comes to relaxing - I cant just sit and watch a movie I need to be doing stuff on my ipad, with a load of washing on while I do it or if I get a massage the whole time I run through all the things I need to do, crazy and annoying. Glad you relaxed by Friday though :P I am the same with my hair but hate the judgey judgement from hairdressers and they always try and sell me stuff - gah! All good Megan, come on down and see Avril. Travelling to Melbourne for a haircut is totally worth it right? :) Actually, I have just seen that Canberra was judged much more liveable than Melbourne. We are going to drive ourselves mad with all this thinly thinly you know....sigh. 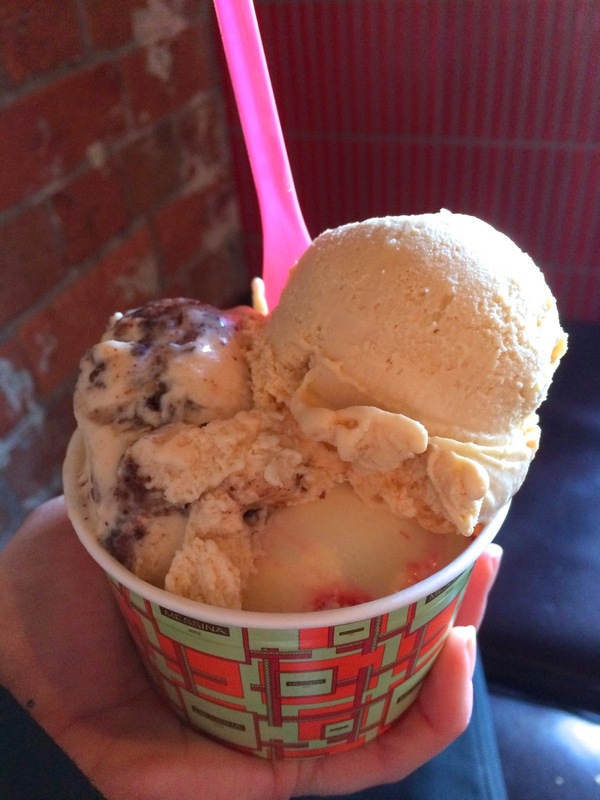 On a far more shallow note, that gelato is making me crave ice-cream right now! That flavour combo sounds divine! It's very exciting that magazines seem to be responding to how people feel about perfectly airbrushed models , isn't it! I love the choice of such a strong role model, she has overcome such adversity. This is the kind of woman we want little girls (and big girls) to be looking up to. So refreshing and inspired to see Turia on the cover of a well known magazine (am so sick of vacuous celebrities). 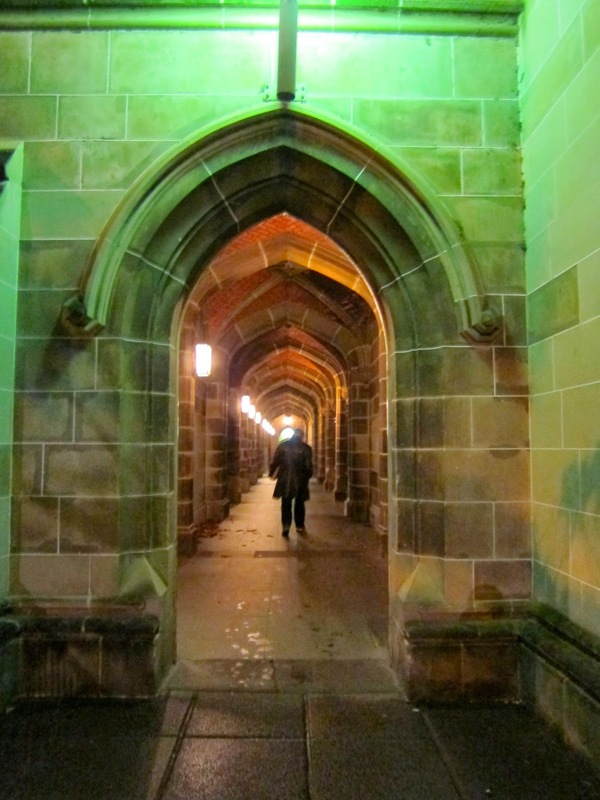 The graffiti's beautiful and the pics of Melbourne uni are so gothic. Love the flash mob whistle! I find it very difficult not to sing along to 80s/90s songs, it's almost impossible! Bravo Womens Weekly! It shouldn't be such an event that a magazine has featured her on the cover but it is; a weird reflection on the weird little world we live in. Relaxing is tough when you're used to going at 150 miles an hour - I'm still searching for the magic formula (cuddles with pooches are a step in the right direction though). Oh and your supermarket sounds like THE BEST. 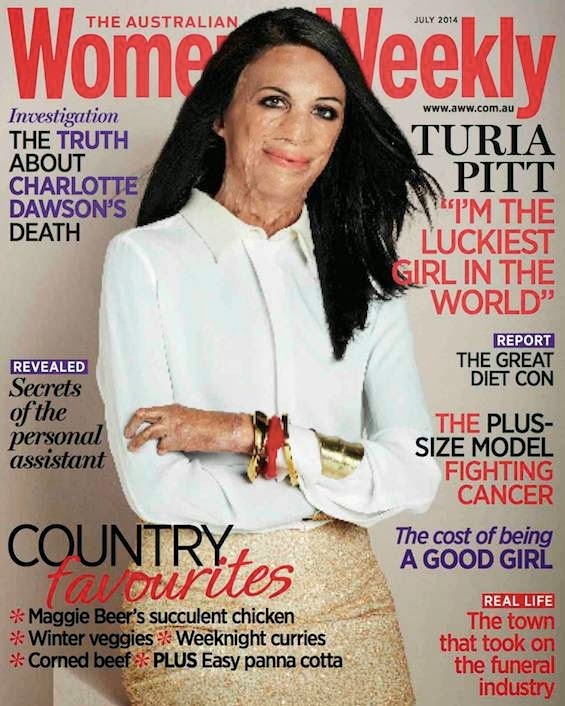 I've heard Turia's story and it is wonderful to see her on the cover of Womens Weekly. The gelato looks fabulous! !